Shark Diver : Shark Diving : Swimming With Sharks: Sean van Sommeran, full of sound and fury, signifying his own self-importance? Sean van Sommeran, full of sound and fury, signifying his own self-importance? How can a tag be in two different places over the span of a decade? Update: As expected a week has passed and Sean van Sommeran Executive Director of the Pelagic Shark Research Foundation has failed to provide any evidence of his self proclaimed and very public "discovery" of last April. "PSRF's sole obligation was to provide scientific proof of the PSRF ws tag in the Sea of Cortez - from day one." 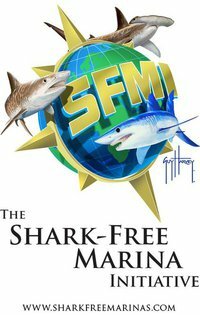 Instead we have seen reams of Internet bluster, accusations of secret Corporate/NGO cabals and no more than a few somewhat grade school accusations leveled at those who would question what is now understood as one of the most outrageous claims ever perpetrated on the California white shark research community. The final question remains. Why? Unfortunately getting any coherent answers to the Big Shark Research Lie will probably be as hard to come by as getting any tangible proof that anyone involved in the original story ever existed, aside from one man sitting at his desk in Santa Cruz back in April of last year with a very big imagination. We're almost loath to blog about this guy, as one might loath the prospect of researching the life habits of parasitic tapeworms that inhabit the bottom of port-o-potties at construction sites in San Diego. Yeah, that kind of loathing. 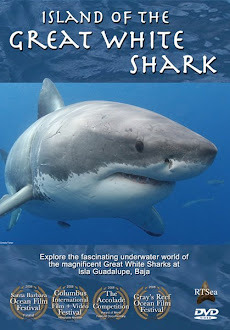 But for the *fact* (and when blogging about SvS you use that word lightly) that the white shark research world was rocked by the assertion of a tag discovered on a shark in the Sea of Cortez back in April of last year - we would not be writing right now. SvS claimed in the news, and on Facebook, and in emails, and on the phone, and via carrier pigeon and even to the homeless in Santa Cruz when they would listen, that the mailbox he calls the Pelagic Shark Research Foundation had in fact tagged a simply huge white shark that wound up in the Sea of Cortez providing - for the first time - direct evidence of adult sharks moving from California into the Sea of Cortez. He was adamant about it and he had proof, an image of a tag. 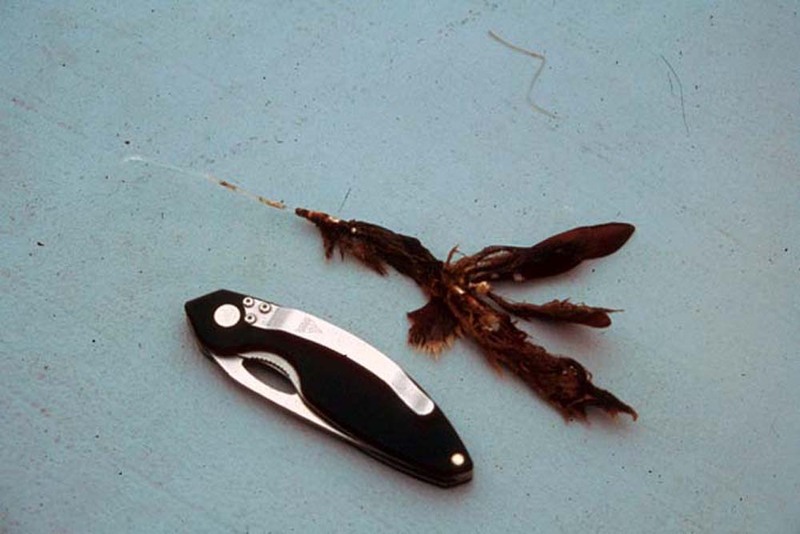 Then the story took a weird turn, according to the PSRF a rival researcher stole the "tag evidence" (as witnessed by an actual image attributed to the shark) and the PSRF was robbed of one of the most exciting research stories of the year. A new page on white shark migratory patterns was wiped out and the world was a darker place because of, "well heeled corporate researchers who are jealous of PSRF success." The whole Steve Zissou vibe. The image was the key and as we pointed out back in April nothing about the image made any sense at all, never mind the story, or the person peddling the story, or the fall out from the story within the California white shark research community - then the same image appeared last week on Facebook attributed to another GWS tagging event in California by the PSRF in 2001,wait, what? The ENTIRE MX tag story was...wait for it...you probably know where this is going... a lie. A huge, pulled out of your steaming arse...lie. A moronic half baked fib, nurtured to a white lie, and then kicked into a caldron of hate and misinformation and left to the desert like elements of Mexico...lie. We could go on, but our sustainably harvested, shade grown, $40/lb morning coffee is growing colder by the minute and frankly, like the tapeworms, once you get past the "ick factor" this entire story is about as interesting as the bottom of those port-o-potties we mentioned earlier. Ill be sharing some additional findings on the Baja tag recoveries and issues above later this month. LOL dude you are just too much. Lying about a tag,and now the images are not the same, what else you got there in that little black bag of tricks? Did we also alter or doctor the faked email thread dates you presented as fact? Sean give it up the ENTIRE WORLD in on to you by now. That stunt with the tag and the faked fisher woman, the faked emails with the wrong dates? Take some advice and own this, you'll get more respect from folks if you come clean now. Then again I really do not care, like the port-o-potties remember? Is this the same researcher who was fined $20,000 in Mont Bay back in 2003? Helping an entertainment company film great white sharks has landed a hefty fine for a Santa Cruz-based research group. The National Oceanic and Atmospheric Administration announced Friday that it has levied a $21,000 fine against the Pelagic Shark Research Foundation for violating its research permit while helping a film company obtain footage of a shark near Año Nuevo north of Santa Cruz. The spot is within the Monterey Bay National Marine Sanctuary, which is administered by the National Oceanic and Atmospheric Administration. Ray Torres of NOAA said the violation was discovered last August after the Discovery Channel aired the shark video, which was filmed in 2001. "We would never do anything to hurt a shark," Sean Van Sommeran, executive director of the Pelagic Shark Research Foundation, said Friday. "In our permit it says a film crew can visit us. We followed standard operating procedure." NOAA said Van Sommeran's group violated two terms of its research permit when it allowed Shark Entertainment to accompany foundation researchers into the sanctuary to film sharks for entertainment purposes. The company was producing "Air Jaws II," a film about great white shark behavior in South Africa, Australia and California. The foundation was also fined for using a "Hollywood mock-up" of a seal to lure sharks. The permit forbids use of lures in connection with a media venture. "It was a violation of sanctuary rules," said Torres, a special agent for NOAA. Although the film was shot in October 2001, it wasn't publicly aired until 2002. Torres said phone calls from researchers and shark enthusiasts helped alert the National Oceanic and Atmospheric Administration. Torres is unsure whether the Pelagic Shark Research Foundation's permit will be revoked but there could be more restrictions placed on the foundation. The Pelagic Shark Foundation received a permit in 1999, primarily to be used for tagging, behavioral observation and photo identification of white sharks in the area. Yes that's the same guy. maggoty cocktail toad, youre an smarmy exotic idiot, an pathetic touronistic and self indulgent sack of hagfish barf; You are nothing more than an oncoming judo crash test dummy throw toy to me; I wouldnt cross my lawn to wipe my deck shoes on your head if you face was on fire. Your insults are puny and seemingly made of thin dry sticks and tiny stones, Ive met you and were a total smarm,, youre boring to listen to and its irritating to read your feable comments which does perfectly suit your milk sop, tender foot smarmitations and bogus assertions. See this here Sean? This is me slumming, as in engaging with you in any kind of conversation. I do not slum. When I do however catch people lying about great white shark discoveries that are so egregious as to be fantastical I blog about it. Thus endeth this wonderful and heartwarming trip down memory lane with you in tin cup town. The photo about is of a different tag, recovered from a different shark entirely and from a different location, the tag is of a type we have placed on hundreds and hundreds of different sharks, mostly blue sharks, mako sharks, basking sharks, white sharks and sevengill sharks primarily and in that order,, the insistence that the tag is a one of a kind item attributed to 2 different sharks is just a distortion of information. If you ignore the retarded blog and read what I wrote in my comments section of the news article and to the writer you'll see I included many info and image links summarizing the process and projects history and previous tag recoveries including the tag pictured above with algea attached to tag that had been on a white shark for years until we recovered it during a close quarters contact with a shark that was nudging our boat in Monterey Bay (MBNMS) region. Very convenient that the tag image is now not "the real tag image" and the media is to blame, blah, blah, blah Sean. With the PSRF's credibility at stake...wait a sec, credibility, that's a good one. Ok, with the credibility at stake you are now saying you have no proof? Nothing to back up your assertions of last year? So be it, we still maintain you lied, the broader California WS Research Community says you lied, most anyone who matters in this discussion understands - you lied. The rest is fluff, bluster, and wind. You can post all you want on Facebook, create imaginary secret PhD Societies, but at the end of the day your failure to back up a ground breaking story of your own creation in a tangible way has exposed you. The end. We can all move on. May we suggest you stop making up outrageous stories for the media when there's so much actual science out there that could be done...but you have to be credible to do it and there's the rub. Found this on Facebook, Sean taking credit for the tag in April. Christine Busse Tarkowski Oh my god, no!! Was it your tag, Sean? Just like a fallen comrade, my heart is heavy for you. Sorry for your loss, friend. The good news is that this one was reported, many are not reported; still seeking ID images and sundry data. Fisheries agents took control of investigation and so far it appears to be an accidental entanglement of the shark in a net set for other species. There was some conflicting information being offered that described the shark as a 4' pup but photos expose that slight discrepancy. The tag is an ID tag we attached at Año Nuevo Island (ANI) which part of Monterey Bay National Marine Sanctuary (MBNMS) in Central California. These simple number and color coded ID tags function like an ear tag on a bear or a leg tag on a hawk or sea bird etc, it identifies the individual. Always sad news to hear that one of "our sharks" has been lost at sea and to an untimely end, a huge flag ship specimen is not good news for the fleet, that is for certain. The data is revealing however in terms of this sharks individual life history and documented range of movement. The best part is that the tag was called in and for that we can all be greatful for the info if not the closure. "we do not accept cheap shots and slander" - that seems to be all tis blog is. Not not at all, what part of these facts do you not agree with? Clearly there's a disconnect between what was said, stated, and claimed by SvS and the PSRF repeatedly. Let's drill down shall we? 1. SvS claimed the "The Choyudo" had one of his PSRF tags on it. Fact. 2. SvS claimed a woman found the tag on "The Choyudo" white shark and called him, she identified his tag on the animal. Fact. 3. An image appeared from SvS claiming to be the tag from "The Choyudo" white shark. Fact. Are we missing anything here because all the media pumped out by PSRF says as much. Moving on. 4.SvS produced the email from the woman who found his tag on the "The Choyudo" white shark. It was dated some days prior to the "The Choyudo" white shark event. So, it was impossible for her to have emailed about a shark that had not been caught yet. Fact. We could go on but that final fact should stop anyone with half a brain right there. Still with me or have you fallen asleep? How can someone email from the future about an event that is about to transpire complete with hard evidence (you have to have a tag to have SvS's phone number right?) unless...wait for it...Mexicans have developed Time Travel! What do you have there because we would be more than happy to apologize and send SvS a big basket of Tropical Fruit if we are wrong...but something says we get to enjoy the fruit while "watching this space" for another in a series of inane responses from SvS regarding the Mystery of the "The Choyudo" white shark. I think Paul G settled this debate nicely. This is SvS taking credit for the tag saying it was his in public. Over and done. The tag, the woman never existed. And since SVS has been a hot topic and fined for misuses and abuses I have my own tale of woe. He stole $400.00 from me by selling his bogus shark exploration program. Someone needs to research The PSRF's budget and spending history. Being a non profit every last dime is public record and I'm sure many people who have donated would like to see where their donation dollars were spent. This is not the first time I have seen people question where the money went. I hope someone contacts the States Attorney's office and seeks a forensic audit of The PSRF's shady practices. FYI I was on a shark diving boat in 1999/2000 and personally witnessed SVS back a Boston Whaler down on two feeding whites, grab parts of the elephant seal carcass out of the water and proceed to chum for other whites in different locations with the partial remains. Completely illegal as well as disruptive to the feeding patterns of the fish. And, I have video-tape evidence of this event. When I mentioned it on a blog in the early 2000's I was threatened by him. I don't have the blog posts and emails anymore ( I'm sure they are somewhere out there) but I wouldn't put anything past this guy. Seems he's only in it for the fame and name, and he is rather pedantic in his musings. That is a piece of video we would like to see. Feel free to upload it to you tube and set it to private. You can send us a link at sharkcrew@gmail.com and we'll ensure the community sees it.